Home Annual Events Get ready for Jeeptoberfest! Three Levels of off-road Jeep mayhem! October 2017 Details Coming Soon! Please Note: No pets or alcohol allowed! Jeeptoberfest is one of the largest Jeep Only events in the Southeast. 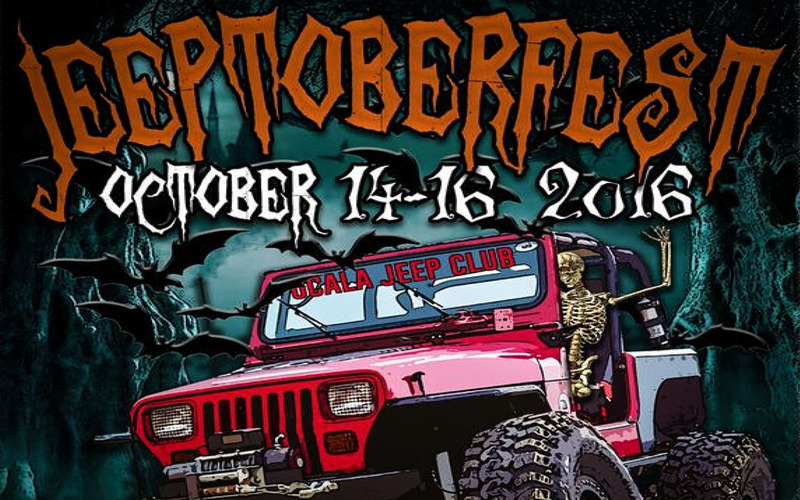 The annual fundraiser event of the Ocala Jeep Club is held in October at the Market of Marion in Belleview. Over the past 17 years, Jeeptoberfest has raised more than $100,000 for local deserving charities. More information coming later this year!